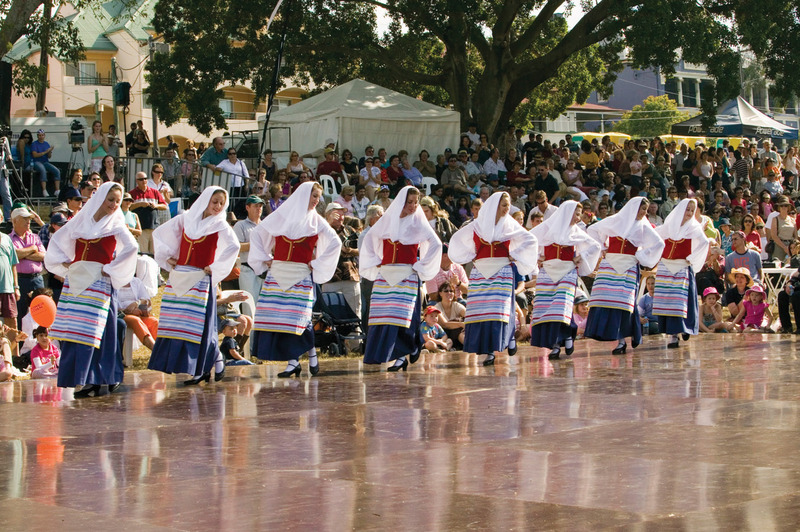 One of Brisbane’s most popular cultural festivals returns to Musgrave Park in South Brisbane over the weekend of 19 and 20 May with the colourful Paniyiri Greek Festival. This will be the 42nd year for Paniyiri which celebrates all things Greek from traditional music and dancing to the appetising flavours of lamb and chicken souvlaki served up with Greek salad; the vine-leaf wrapped dolmades; slices of spanakopita filled with spinach and feta cheese; and desserts including baklava and the ever popular honey puffs. Paniyiri attracts around 60,000 visitors each year to eat, dance, rejoice, watch the entertainment, explore the stalls, watch the cooking demonstrations and enjoy the fun fair rides. The festival runs from Midday to 10pm Saturday 19th and from 10am to 7pm Sunday 20th May.